Fixed vs Floating: What will Labour mean for our rates? Is the arrival of a left-leaning government the catalyst for a hike in interest rates? Brendon explores possibilities and shares his tips for fixing and floating. Pre-election, the common wisdom from those in the know was that interest rate hikes would be slow at best and would take a while. So, the recommendation for most was to fix for a year (and take the cheapest rate in the market). What has changed since then now that we have a Labour-led government? Well, our mortgage rates are influenced by different things. The floating rates and short term fixed rates, are heavily influenced by local factors like elections and inflation. The longer rates (three- to five-year fixed rates) are more heavily influenced by overseas factors, particularly US interest rates. They are nudging up, so watch what this space. Despite the banks being pretty tough on new home loan applications, there is some competition between them, particularly in the two-year rate. One bank is offering 4.3 per cent for two years, which others have been struggling to match (at time of writing—however, watch this space). If you can afford for your mortgage payments to increase a bit without hardship, lots of our clients are willing to take the risk and take the best rate for now (the one-year rate). 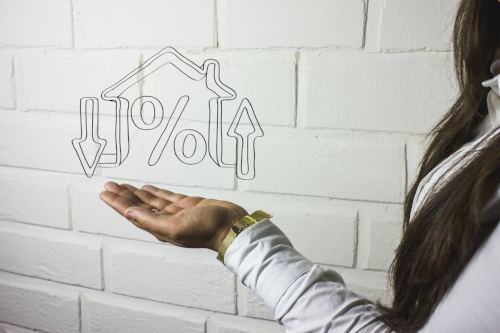 Others are more cautious, so are splitting their loans between several fixed rates (leaving a little floating) or just opting for a two- or three-year rate in order to have certainty for a little longer. As you can see, it isn't straight forward. Different decisions should be made on your interest rate strategy depending on your situation. If you are a regular reader you probably get sick of me saying this, but I repeat because it is true and important: spend more time thinking about your debt reduction strategy rather than small differences in interest rates. The former is FAR more significant for getting ahead than the latter. Your Velocity adviser can't predict the future, but they can work with you to put a good strategy in place. So, don't hesitate to make contact when your fixed rates are due to rollover. And keep in mind, don't just ask us "What interest rate should I take?" The best question is always "How can I get rid of my mortgage faster?" Is a capital gains tax the answer? It’s been a favourite topic in the media, but what effect would a universal capital gains tax have on property prices? Graham explores. First things first, let’s clear up that capital gains does exist on rental properties: if you buy and sell within two years you will pay tax on any gain on your rental property. The question is, what would it mean if this same tax was also applied to owner-occupied properties? If it were implemented, will it stop the crazy increases in house prices that New Zealand has experienced? Short answer … I don't know. There is no evidence from overseas markets that it seems to stop housing inflation. In regard to capital gains on rentals, this is easy to overcome by just buying an additional rental that you effectively put aside as one to sell to pay your tax bill. The real question for me is how our children will buy property. I think that family assistance for property will become more and more important. First home buyers in Wellington city are certainly paying $700k and up. In five years’ time who knows what they will be paying but I certainly know my kids will be talking to me for some kind of help. Maybe I’ll just them to the opposition as it will be in the very hard basket! With the election and spring fast approaching, change is in the air … or is it? Graham shares what this all means for the property market. On 23 September 2017, we’ll discover who we can blame for the next three years. It's also the end of winter, the start of daylight savings, and it’s been eight years since 23 September 2009. So, what do we make of all those things? Well, they all have some part to play in what’s going on with the housing market at the moment, and what’s going to happen in the near future. Apparently, during every election cycle, Wellingtonians put their plans to buy and sell on hold. It makes sense when you think that the largest Wellington employer, the Government, is in a period of sustained breath-holding while public servants wait to find out who their new boss is. The traditional thought that National makes for a smaller public service and Labour for a larger team obviously impacts public servant’s enthusiasm to change houses and so on. That’s the election, but let’s combine that with winter and the slowdown that comes with sellers wanting to list in spring when there is more sun. And how about we garnish this discussion by adding in a property cycle that traditionally lasts eight years (and yes, it’s exactly eight years since 2009)—and we find ourselves in a perfect storm. Well, on one hand, listings are low but, on the other hand, there are buyers. Well-presented properties continue to sell with good prices, but, at the same time, many buyers remain frustrated. So, much of it becomes a self-fulfilling cycle/prophecy. It’s certainly a great time to buy; the banks are a little hard work at the moment but most borrowers are being put off by the negative media spin as opposed to banks saying no. If you know someone who is waiting for the great property price slump tell them to wake up. It isn't about to happen. The lead up to 23 September is certainly going to be a great watch.